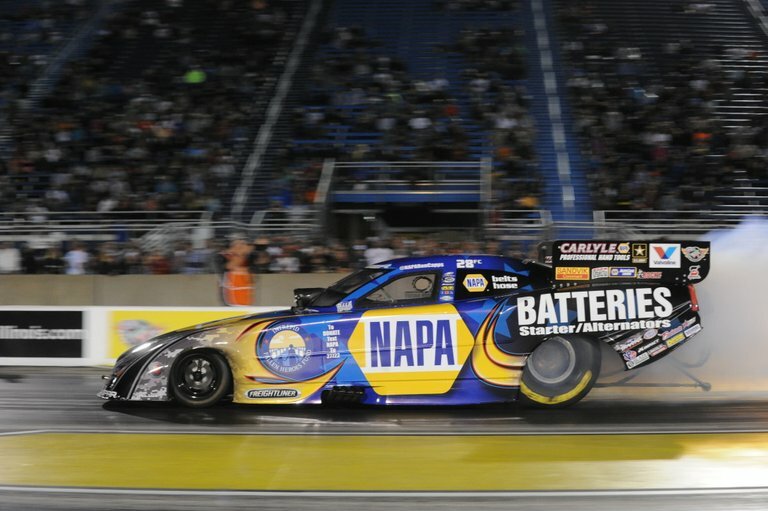 JOLIET, Ill. (June 30, 2013) – Ron Capps would much rather win event titles and go further into championship eliminations with his NAPA Batteries/Intrepid Fallen Heroes Fund Funny Car than the semifinals, but the veteran driver knows it’s the big picture that counts. 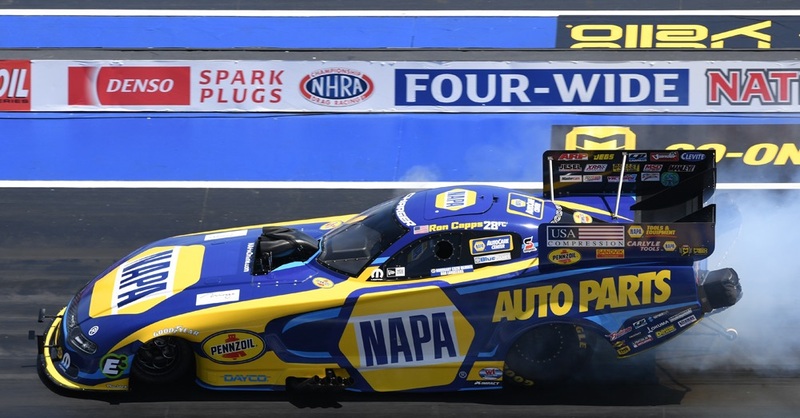 Capps with crew chief Rahn Tobler and assistant John Collins ran the third quickest time ever in Funny Car – 3.988 seconds at 320.28 mph – Saturday night to win the pole for Sunday’s championship eliminations and set Route 66 Raceway track records. 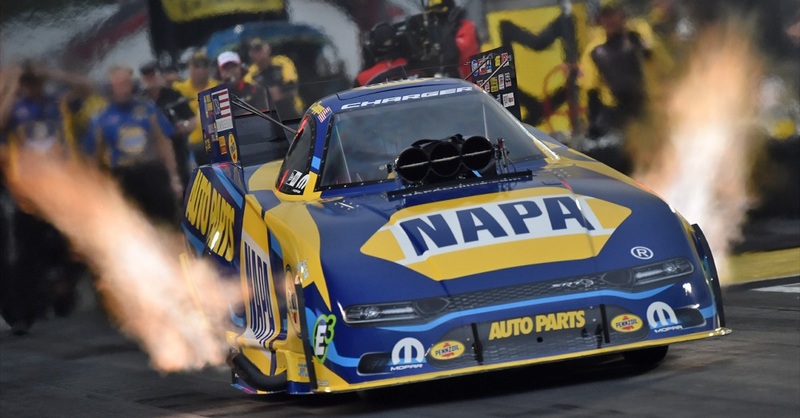 His Dodge Charger R/T posted impressive runs (4.086 and 4.073) to win his first two rounds before losing in the semifinals to John Force, who advanced to the final round where he lost to Capps’ Don Schumacher Racing teammate Matt Hagan. Capps was disappointed but put the day into proper perspective. “Losing in the semis is better than losing in the quarterfinals and definitely better than losing in the first round,” he said. “We’re starting to get our swagger back. 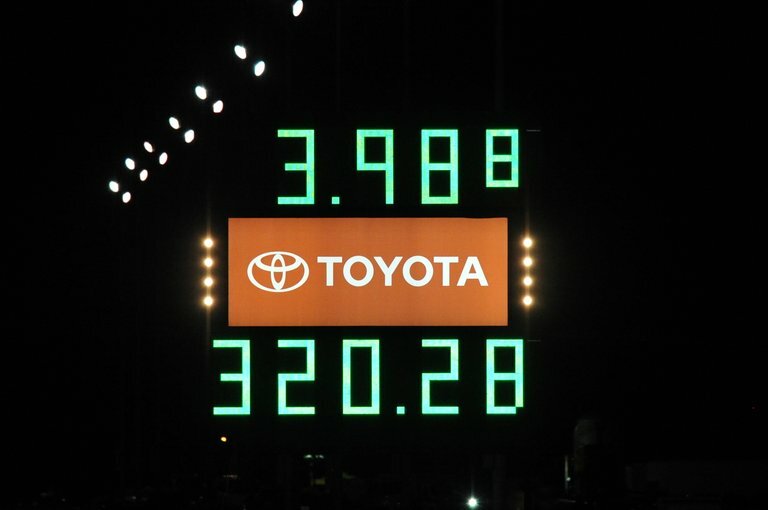 Qualifying No. 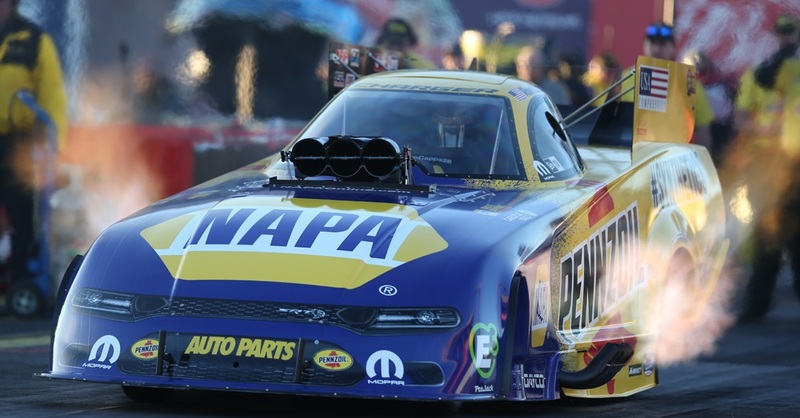 1 was a boost for the NAPA team and to do it with the NAPA Batteries/Intrepid Fallen Heroes Fund on our Dodge made it more special. 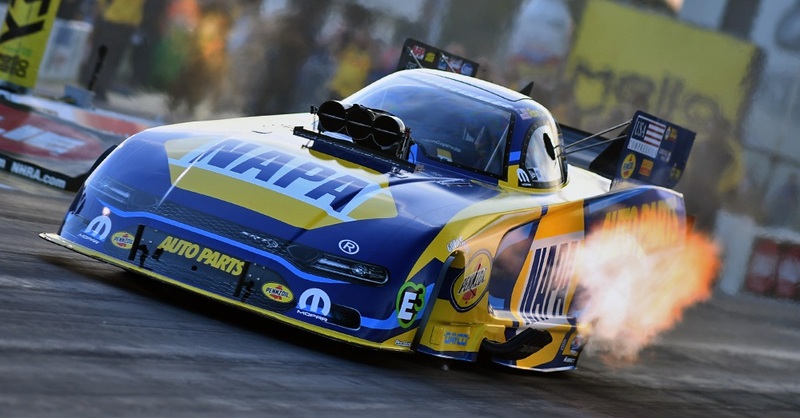 Capps moved up one spot in the Mello Yello Funny Car standings to fifth and trails Hagan, the points leader, by 169 points heading to next weekend’s event at Norwalk, Ohio.